Richard Martin Lighting (RML) has always remained at the forefront of moving light technology and has been in the thick of all things ‘TV’ for almost 30 years. With recent changes in the economic climate and the Industry, it has been a great opportunity to look at ways in which the company can grow and venture into exciting new projects and aspects of entertainment lighting. 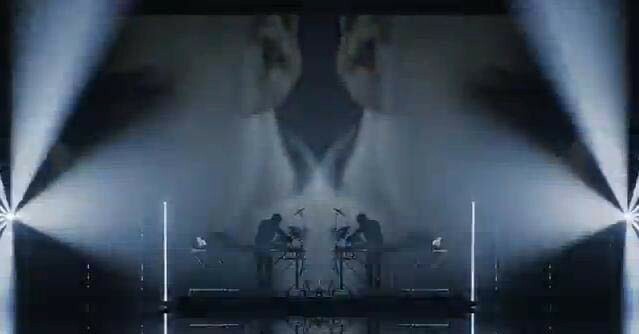 So it comes as no surprise that RML jumped at the chance when we were asked to supply lights for the new Disclosure video F For You. Brothers Guy and Howard make up the electro duo that has taken the country by storm. The hotly anticipated album Settle was released last month and shot to number 1 in the album charts. Lots of people have recently said that they were the highlight of this year’s Glastonbury Festival which is huge praise indeed. It looks like new single F For You is set to be another Summer smash hit! RML supplied Clay Paky Sharpys for the shoot which complemented the video projection that was used throughout, along with LED wands provided by Light Initiative. Simple lighting and strong images enhanced the dance music and sounds perfectly. Their music has been described as progressive and the video certainly reflects that. Dan Neagle of HDO Productions oversaw the project. The Surrey born boys are scheduled to play at a number of other festivals and events this year.